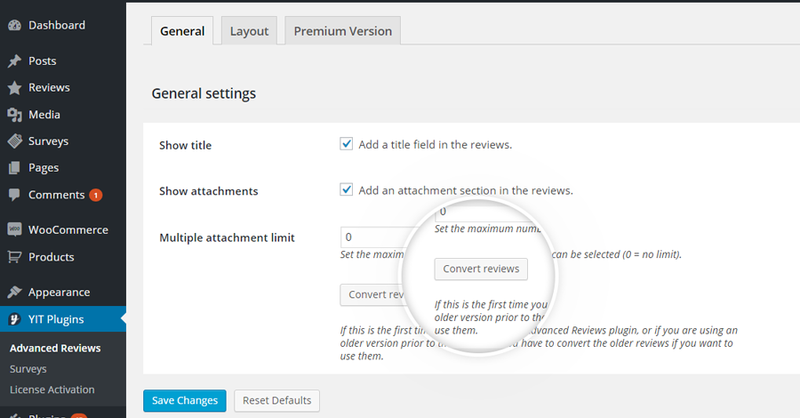 If this is the first time you install the plugin YITH WooCommerce Advanced Reviews, or if you have been using a previous version than 1.1.0, you first have to convert all reviews already registered to be able to manage them all. Click on Convert reviews to do that. You can manage reviews in the section “Reviews”. By default, all reviews left by users are automatically published, without having to be approved first. 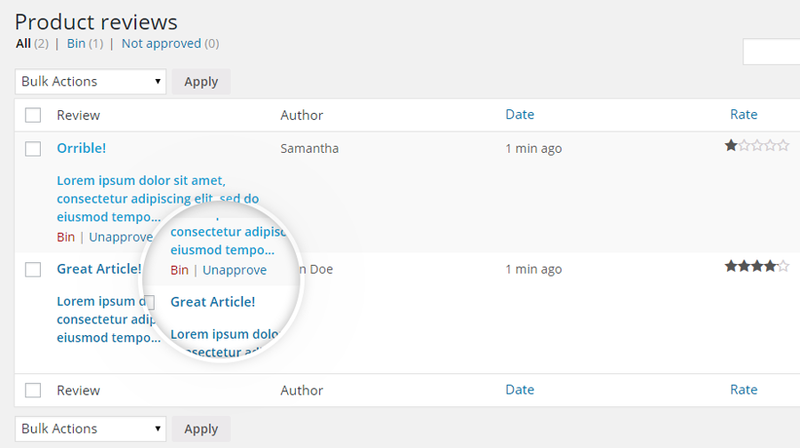 However, the admin can edit both title and text of the review, by selecting it in the list shown above. 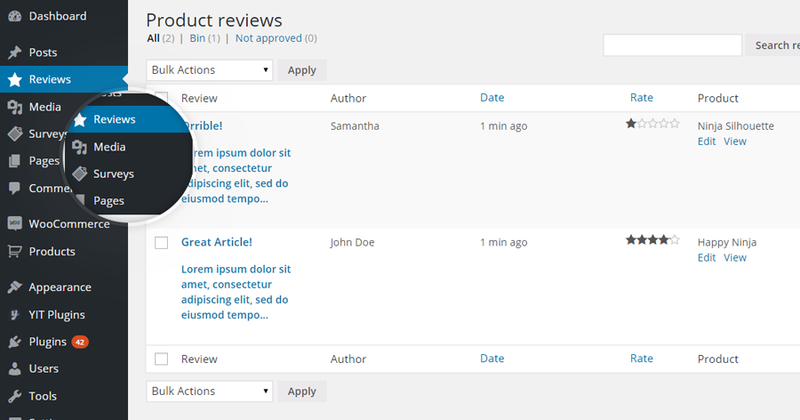 The review can be trashed or unapproved and so it will not show in product page.